Another highly technical digital tool used by Fischl Dental Associates is the intraoral digital video camera. The tiny device is a video camera that moves around inside the mouth and generates a tooth by tooth video exam. The images can be stored and later enlarged and printed. 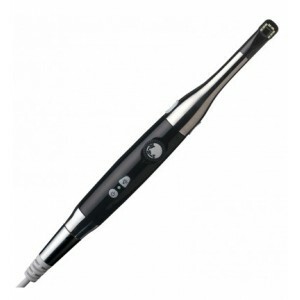 As it is difficult to see inside your mouth, the intraoral camera provides a previously unseen magnified view. The pen-sized camera features a disposable cover to prevent contamination and is completely safe and painless to use. As the camera moves around the mouth, it sends video images to a computer that displays them on a monitor. The images can then be viewed by both the doctor and patient. Using the intraoral camera allows the patient to better understand their needs by seeing what the dentist sees, as well as having it explained. If you have questions about our advanced technology, please contact Drs. Fischl for more information.